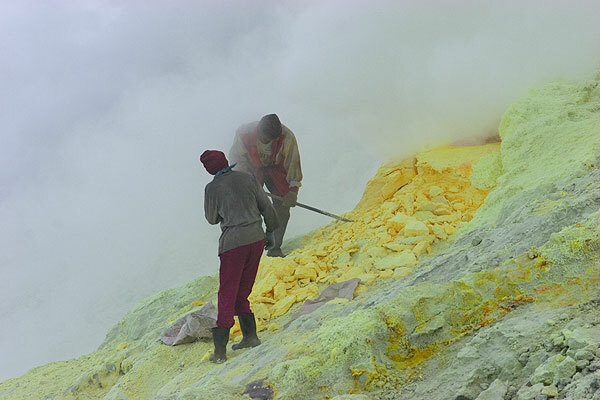 Welrang is famous for its impressive sulphur deposits formed by numerous hot fumaroles located on its outer SW flank of the main crater. 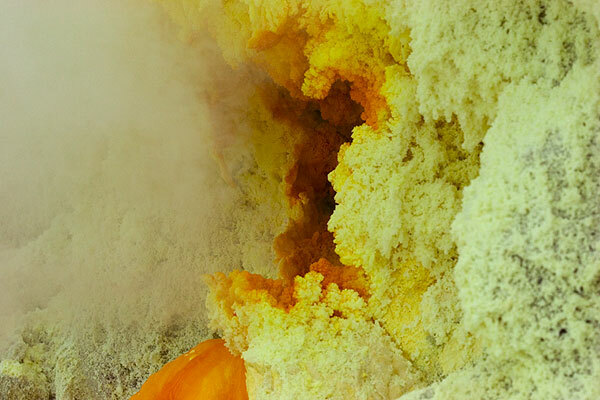 Hot sulphur gas and liquid sulphur pours out from a large number of impressive vents. 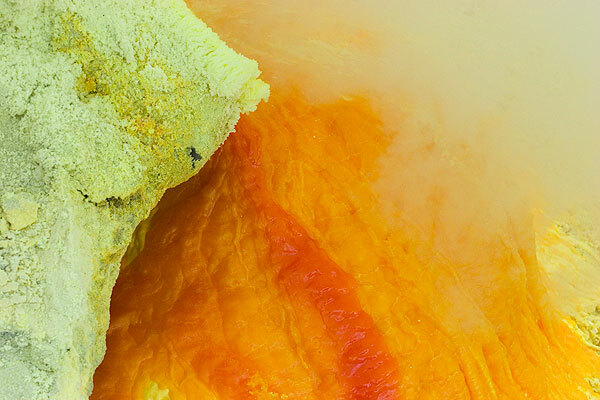 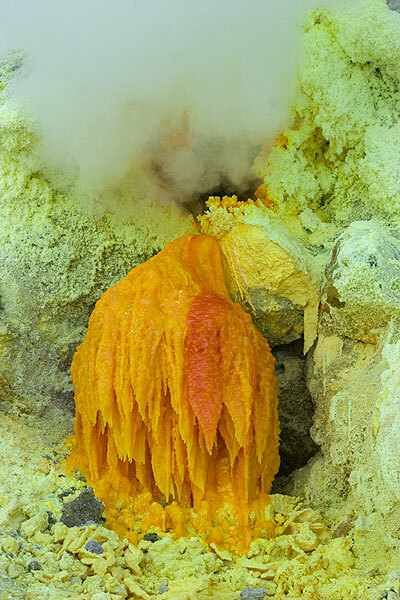 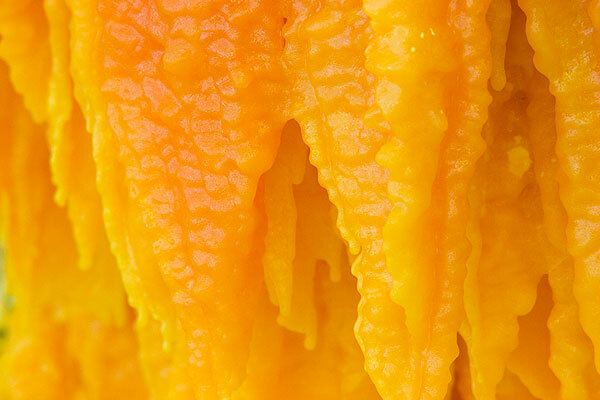 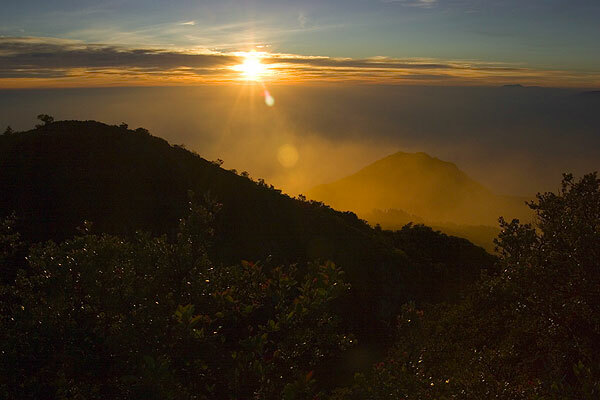 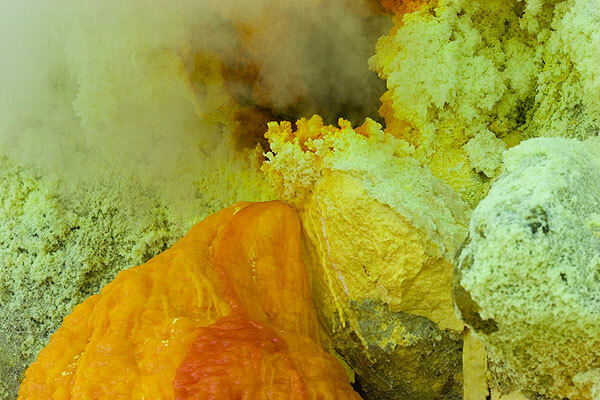 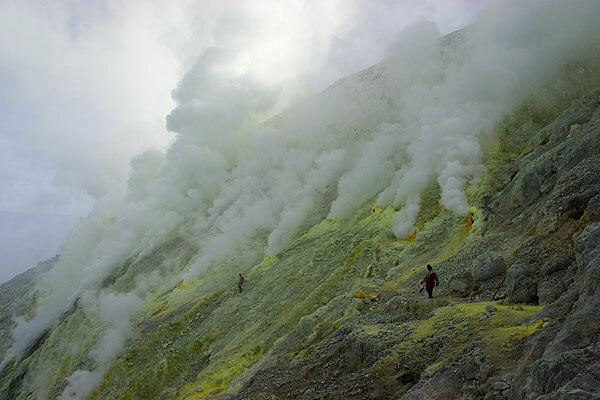 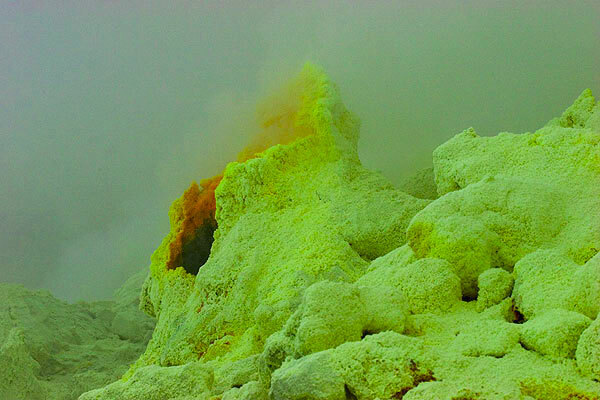 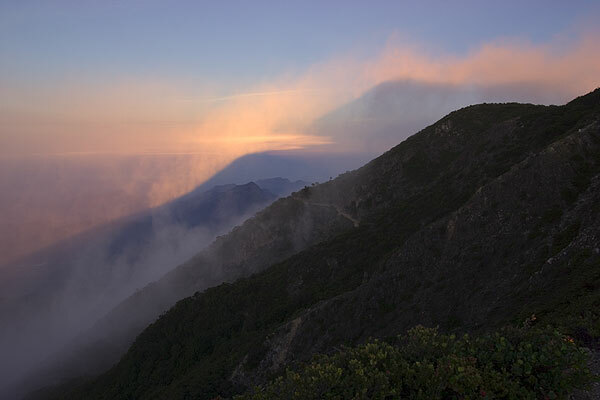 Liquid sulphur forms wax-like yellow and orange streams at the feet of the vents. 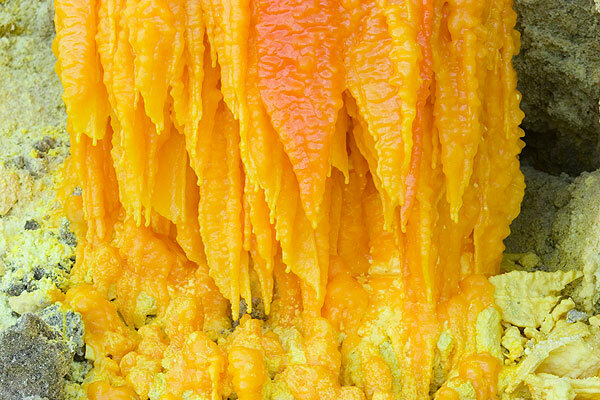 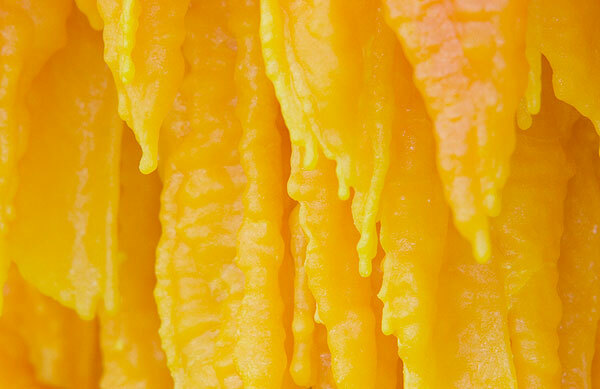 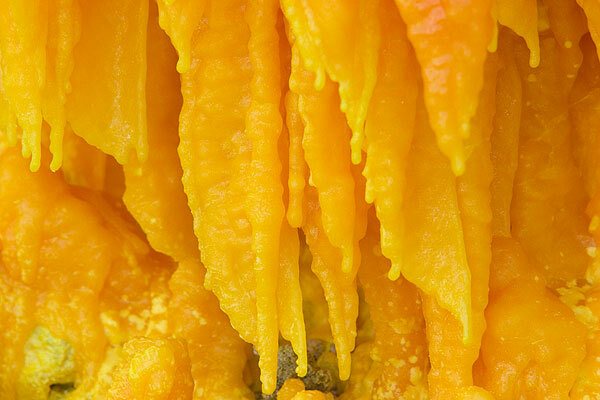 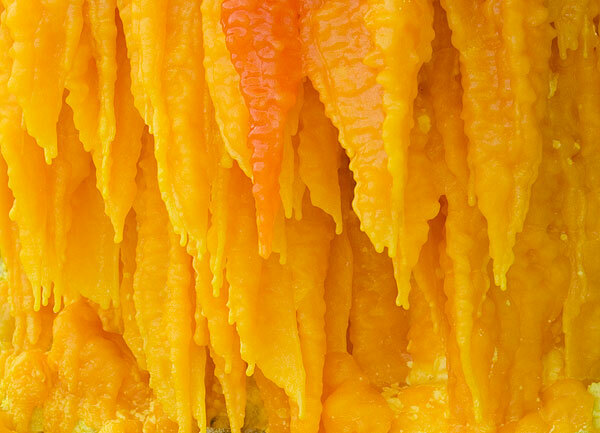 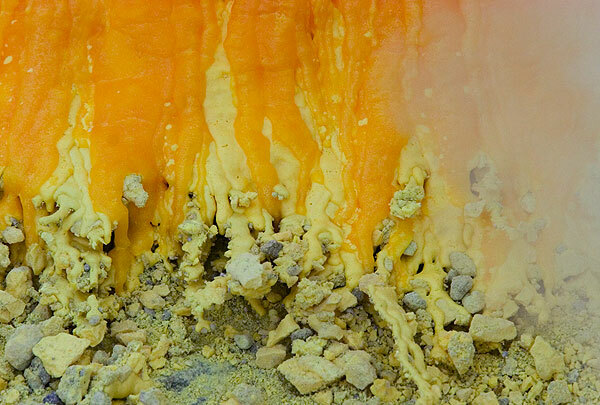 Sulphur stalactites at the exit of the fumarole vents. 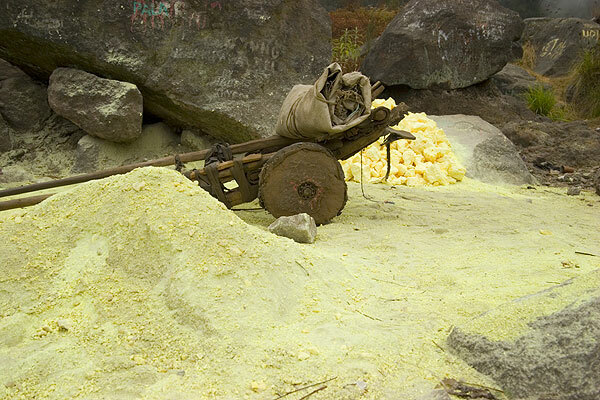 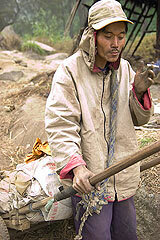 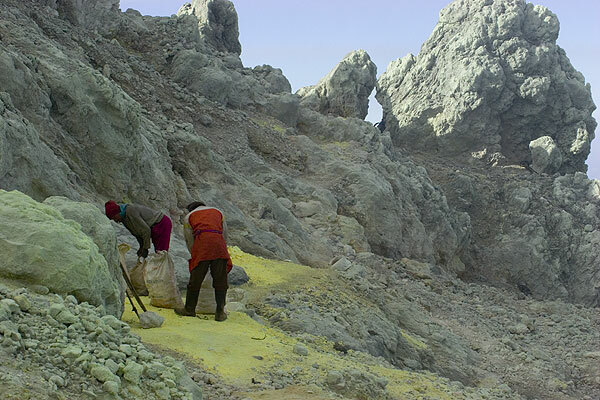 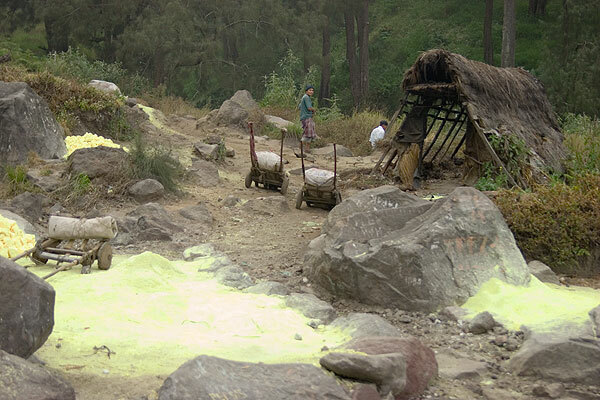 Sulphur from Welirang is being quarried in a primitive, Medieval way. 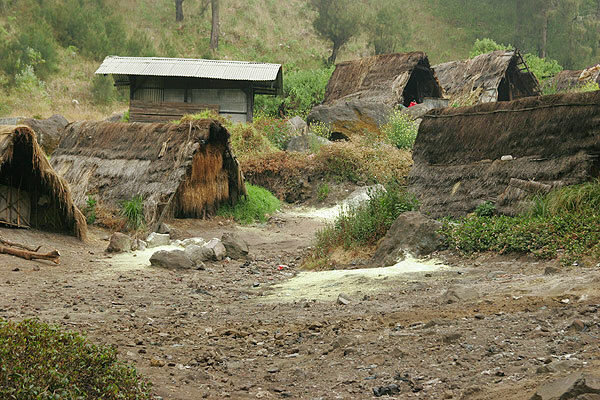 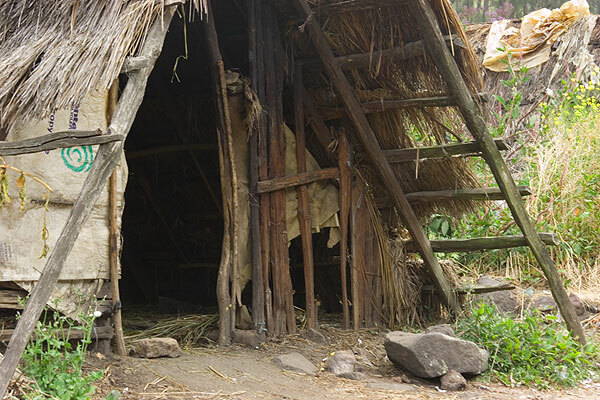 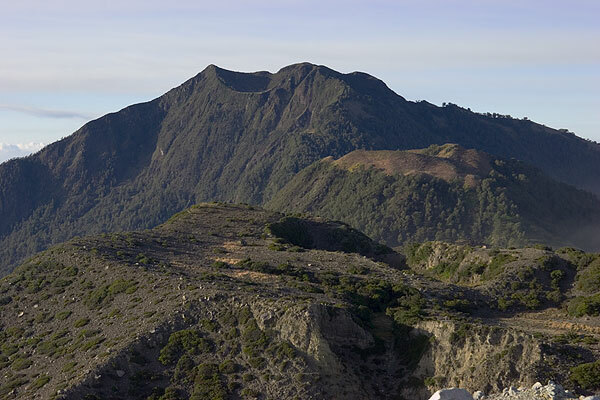 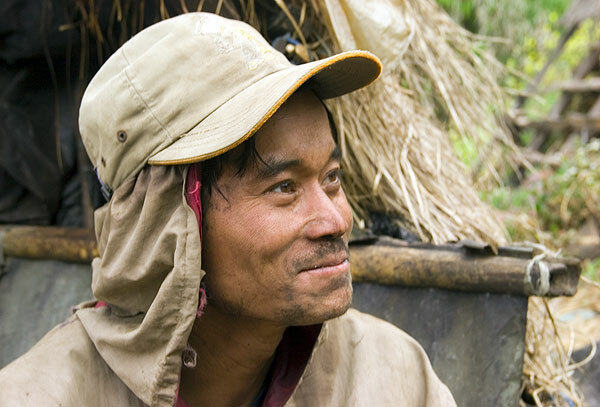 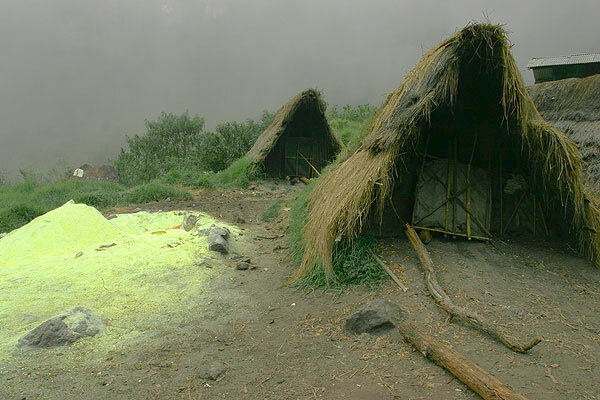 A basic village with simple huts is located at 2500 m elevation below the summit cone of Welirang; it serves as the temporary home for the miners who work in 5-day shifts. 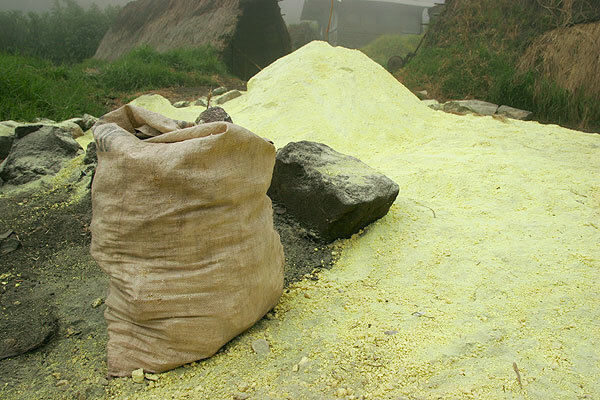 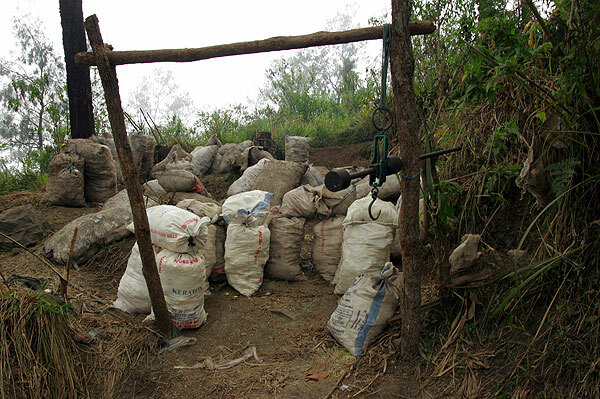 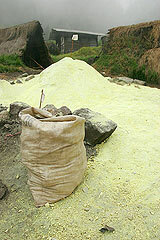 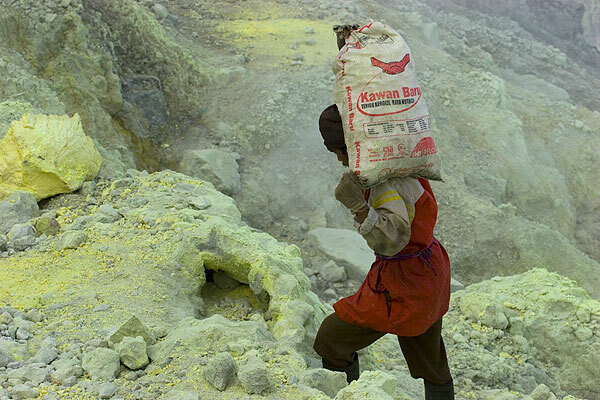 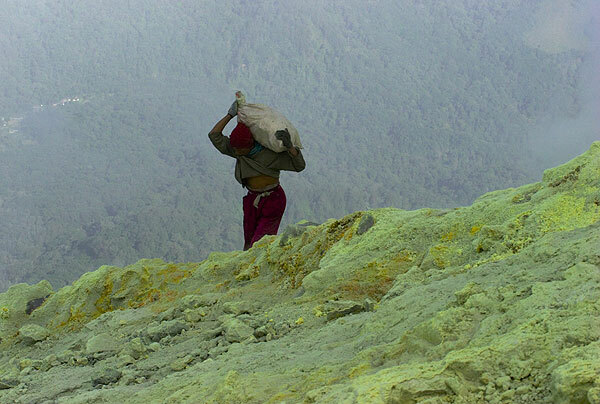 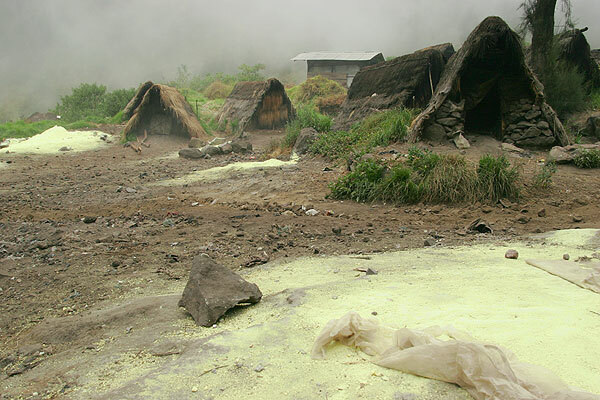 Raw sulphur brought down from the volcano is crushed, piled up and filled into bags for further transport at the village. 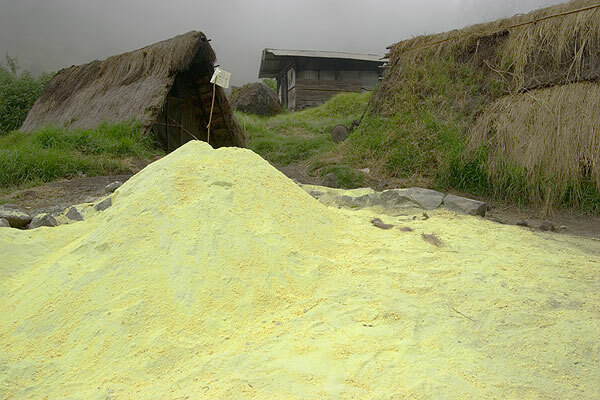 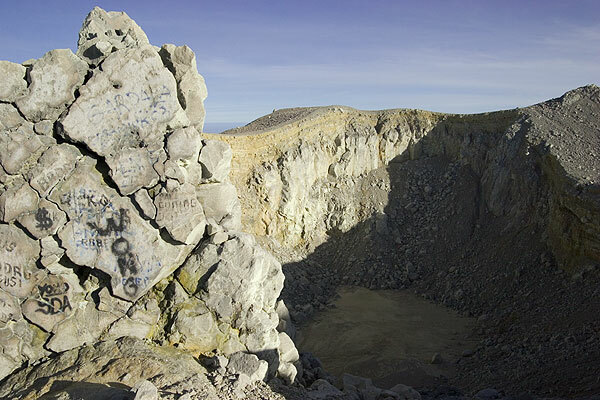 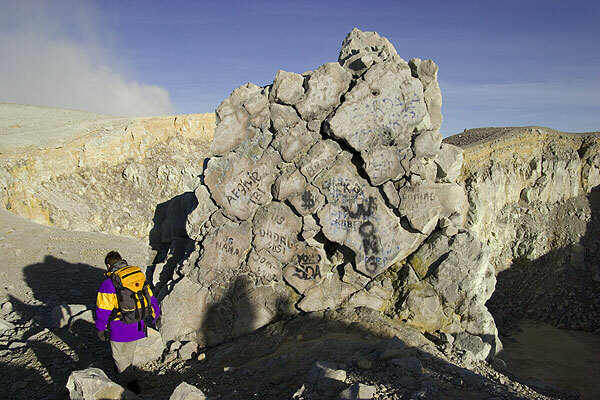 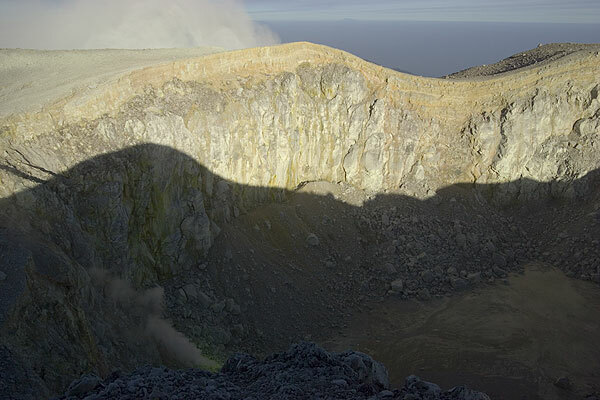 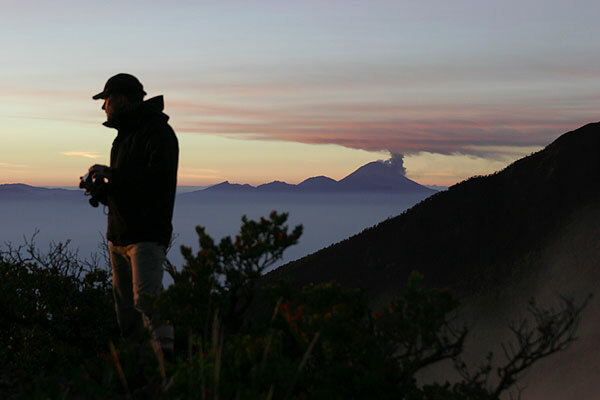 Sulphur from the fumarole area (left) (3100m), the so-called "kitchen" is broken with bars and filled into sacks which are carried on strong shoulders out of the area. 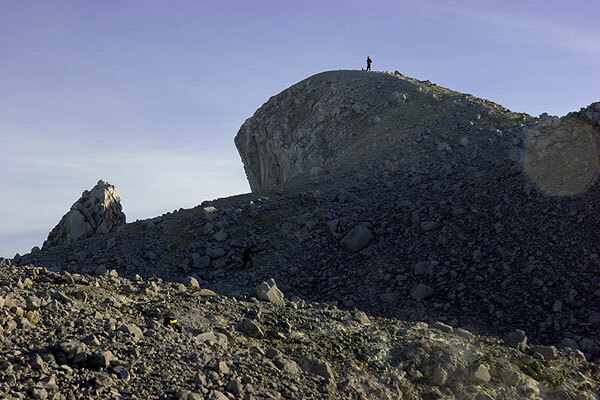 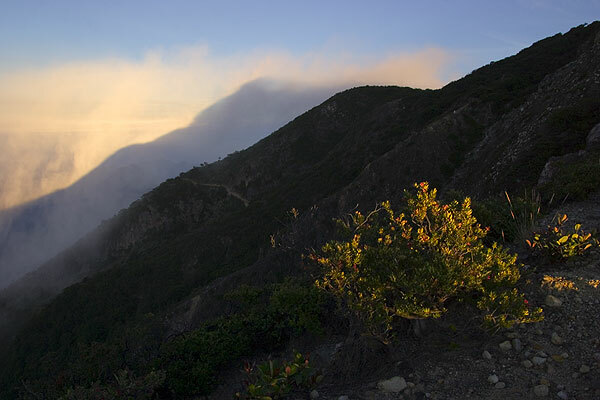 A little bit further down, where the path allows it (ca. 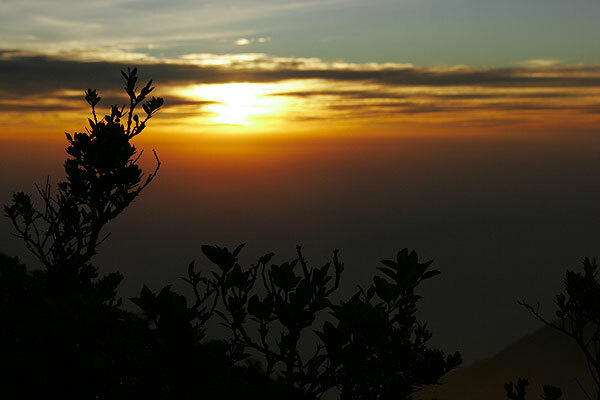 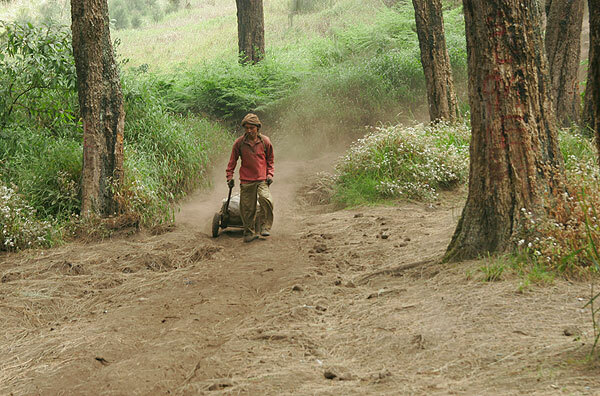 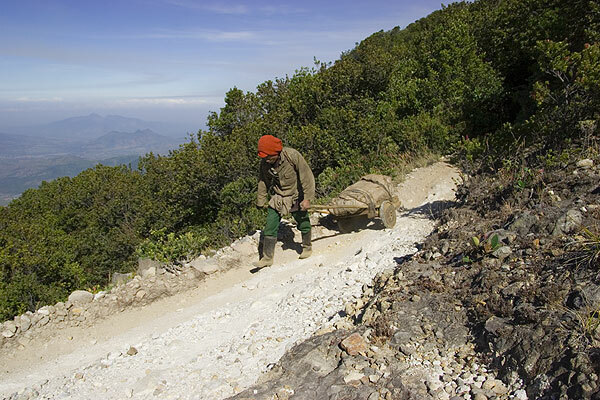 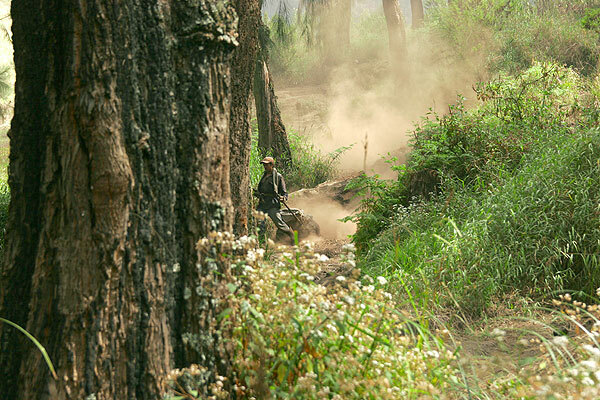 2900m), the sacks are loaded onto sturdy wooden carts on which the loads are pulled downhill,- all the way to a weighing station at about 1000 m elevation. 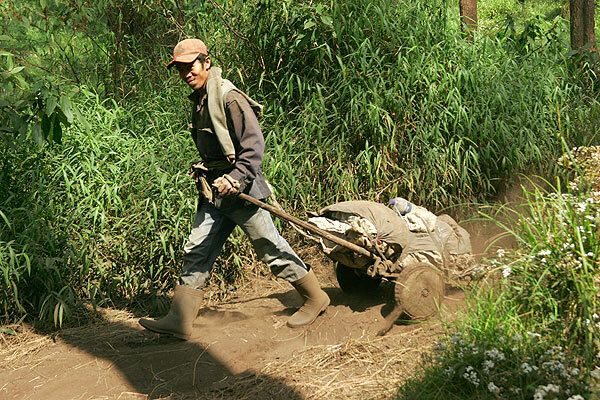 From here, the bags can be loaded onto small 4WD trucks. 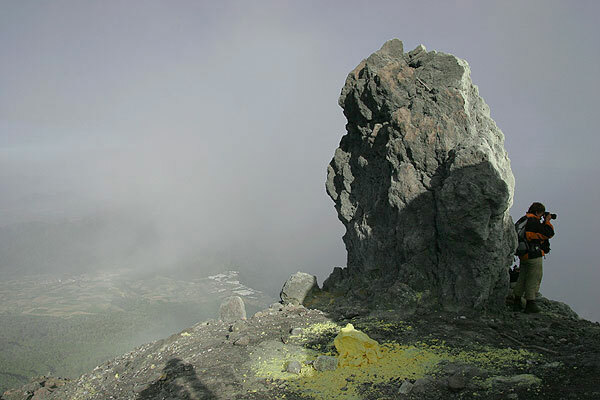 � Tom Pfeiffer, page set up on 7 September 2006.